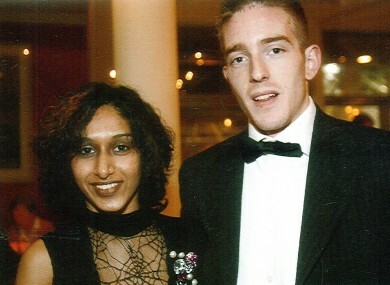 Dhara Kivlehan with her husband Michael. IT HAS EMERGED that Dhara Kivlehan was not seen by a renal specialist for 60 hours after she was first found to be in acute kidney failure. Consultant anaesthetist Dr Ronan O’Hare who cared for Dhara Kivlehan in Sligo General Hospital six days before her death in September 2010 told the Sligo-Leitrim Coroner’s inquest today that this was not an appropriate response, but later added that it didn’t affect her overall care. Dr Ronan O’Hare said he had never before seen anything like the rapid deterioration that occurred in Ms Kivlehan’s condition on 24 September 2010 – three days after she underwent an emergency Caesarean section at Sligo General on the 21 September and four days before she eventually passed away at Belfast Victoria Hospital on 28 September 2010. During evidence, it emerged that despite identification of acute kidney failure on the morning of the 22nd, the renal specialist was not contacted until the 23rd and did not attend until the 24th, Denise Canavan of Shannonside FM reports. However, Dr O’Hare says while this was a deficiency in terms of the response, it did not affect Ms Kivlehan’s overall care. In evidence this morning, Dr O’Hare said there was no proven additional treatment that could have saved her from the extreme variant of pre-eclampsia she was suffering from – HELLP Syndrome – except the immediate delivery of the baby and placenta which had already happened. He said physicians from other tertiary centres where there were no beds available, agreed with the course of treatment being prescribed in Sligo. He said that other suggestions of surgery options were highly specialised procedures that may have resulted in significant difficulties for a patient as critically ill as Dhara and that there were very few doctors capable to do it and that Ireland unfortunately has no obstetric intensive care unit, as these conditions are so rare. The inquest continues, with Belfast’s Dr Paul Glover expected to take to the stand this afternoon. Email “Dhara Kivlehan was not seen by specialist for 60 hours after acute kidney failure”. Feedback on “Dhara Kivlehan was not seen by specialist for 60 hours after acute kidney failure”.